The locality is north of Road No. 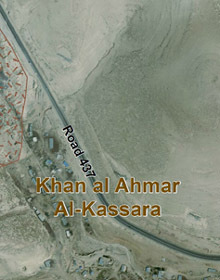 1, immediately adjacent to and south of Road 437 leading to A’nata and Hizmeh, and near the quarry which is the origin of the name in Arabic. The community arrived here in 1948, immediately upon being deported from the Tel Arad area, and until the 1980s, until settling down permanently, they would migrate seasonally for grazing purposes. 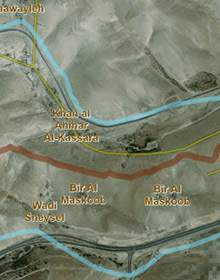 Historical analysis indicates continuous settlement since the 1970s, with small movements along the length of the wadi that runs adjacent to the road. 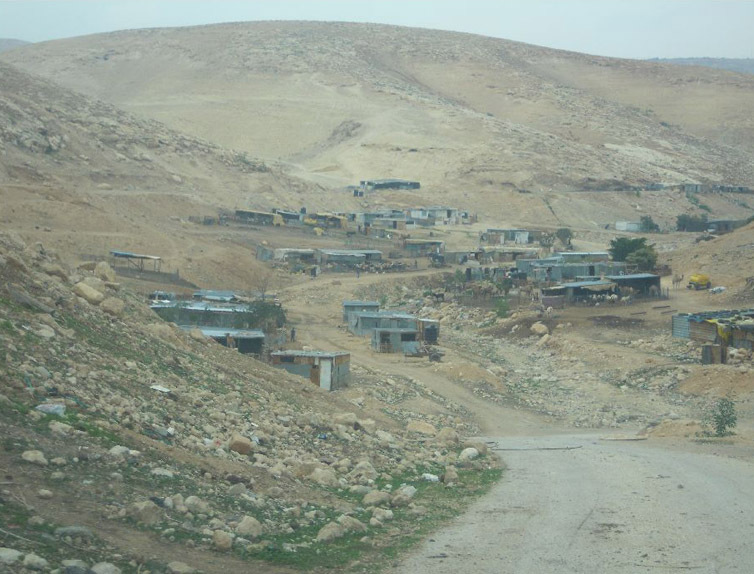 When they reached the area, community members settled on land owned privately by residents of A’nata, but some of the lands were included later in the large land expropriation in 1975, carried out for the purposes of establishing Ma’ale Adumim. Today, the entire locality is included in the jurisdictional area of the city, some in the realm of its master plan, some in the realm of the E1 expansion plan, and some not included in any plan. Residents’ houses are scattered along the wadi and on the slopes of the hills that run the length of the road, and are constructed of light building materials – wood, tin, and nylon-covered fabric. In the 1990s, a number of demolition orders were issued for buildings in Al-Kassara, but were not carried out. At the time, the Civil Administration wanted to evacuate the residents, but the previous owner of the adjacent quarry, who had employed many of the residents for many years, opposed this since he viewed their proximity to the quarry, and the fact that they worked in it and guarded the equipment at night, in a positive light. He even provided them with hook-ups to free water and electricity from the quarry site. Recently, the quarry was sold to new owners, and in mid-2012, after years of receiving electricity and water from the quarry, the residents’ infrastructure connections to the quarry were cut off. In addition, almost all of the residents who had been employed in the quarry were laid off, with the exception of the night guard. They were replaced by workers from more distant locations. 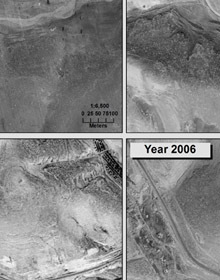 Moreover, in 2012, a number of demolition orders for buildings there were issued, and residents were told that the authorities intended to move them to the Jericho area. Access from the road is convenient, but residents own almost no motor vehicles. Public transportation passes through the area reasonably frequently, making it accessible to residents. School pupils at the locality, some 50 girls and boys, travel by organized transport to schools in A’nata. Among the houses are a few small gardens that provide for home use. Residents own some 1,500 heads of sheep, and some 30-40 camels. During the winter season, the flocks are kept near the living area, and in summer, they set out to graze in the area of Bir Nabala, Qalqiliya, and Al-Jib. The Palestinian Authority supplies a yearly vaccination for the flocks, while all other veterinary care is privately arranged. The flocks serve both for home use and for the manufacture of milk products for sale, mainly in the area of A’nata and the local villages, to which they are taken via public transportation. Until recently, most of the men worked in the quarry, but now, since it has been sold, the employment rate has hovered around 90%. Near the houses is a sewage treatment plant, which does not serve the residents at all; instead, they suffer from serious environmental hazards in the form of odors and mosquitoes. Sometimes, there are problems in the sewage plant pipes and sewage flows into the wadi adjacent to the houses, posing an even greater hazard to residents. Recently, representatives of the Civil Administration suggested that they move, together with the residents of Al-Hathroura, to one of the two options of Steiha or Nue’meh. The offer was not acceptable to them since these localities are already inhabited by other Bedouin, and ownership of the lands is contested.